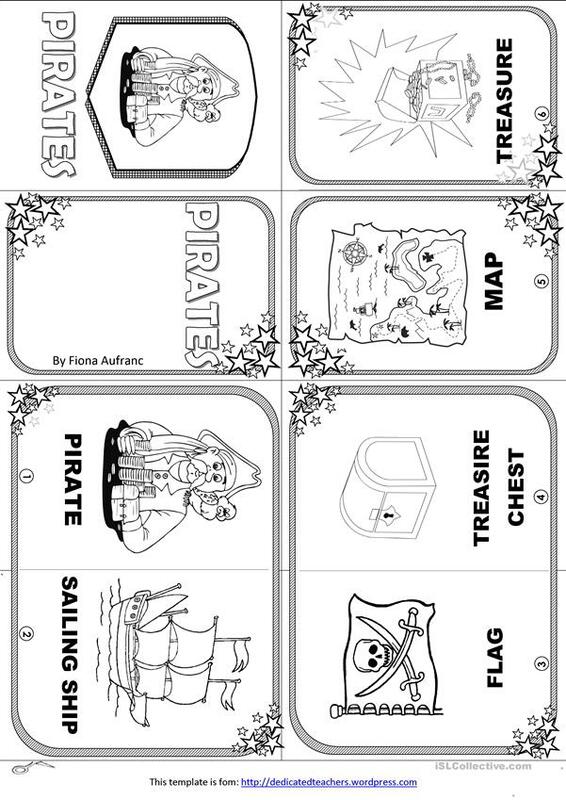 This is for little kids who are learning about Pirates. You can use this for speaking or for colouring or just learning new words. Enjoy!! The present printable, downloadable handout is a great resource for kindergartners and nursery school students at Beginner (pre-A1) level. It centers around the topic and words of Pirates. I\\'m a private English teacher and run my own small business. I teach kids, teens and adults. I love my job and learn something new each day.